Videos of the Day brings you some creative time-killers and exciting sneak peeks. 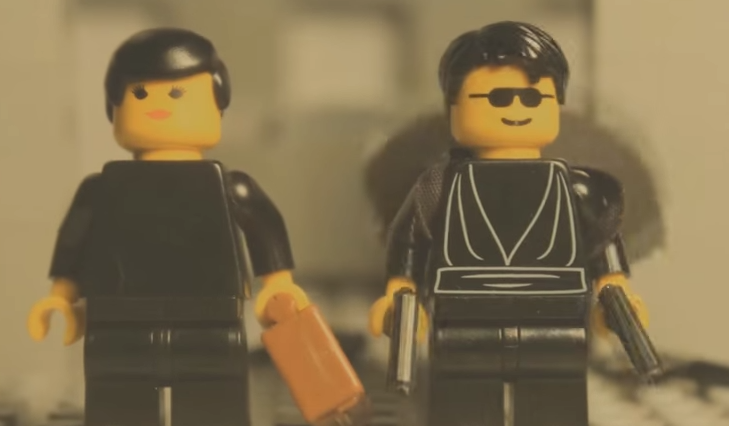 LEGO parody videos are some of the best on the internet and here we have the lobby shoot-out scene from The Matrix. Then check out the reimagined television intro for 'Friends' using your favorite Avengers instead of Ross and Rachel. For those gamers thirsting for Batman: Arkham Knight you'll have to wait a little longer as the release date has been moved to June 23. Enjoy a whole 7 minutes of gameplay in the latest preview. Finally, we have the newest Orphan Black teaser for Season 3. As the citizens of Gotham flee and criminal gangs take control of the city, Batman uses his own special methods to discover the true purpose behind Scarecrow's plans. The groundbreaking series' second season brought new enemies to light, culminating in a shocking finale which revealed a new line of militaristic male clones, played by Ari Millen. Season three plunges the clone sisterhood, Project Leda, into unexpected territory with the realization that they're not alone.